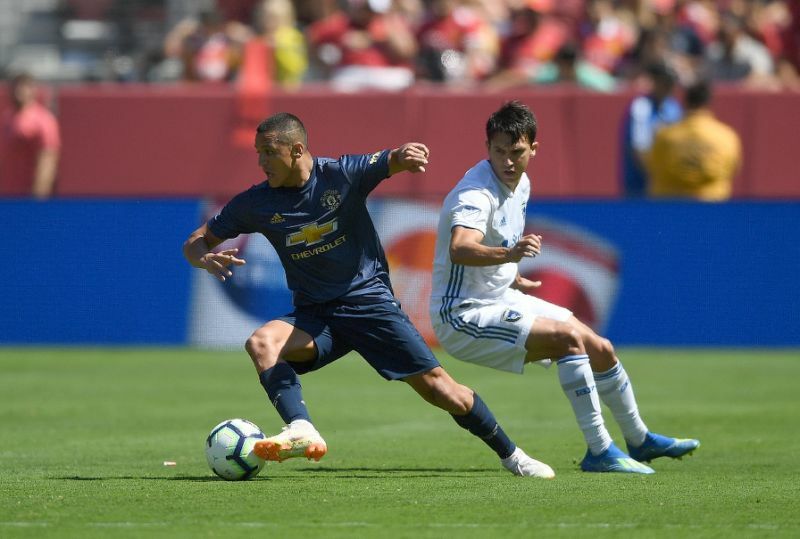 Manchester United, buoyed by the arrival of Alexis Sanchez on Sunday, nevertheless remained without a win in their North American pre-season tour after a 0-0 draw against the San Jose Earthquakes. The match at Levi’s Stadium in Santa Clara, California, pitted a United side playing its second match of the pre-season against an Earthquakes team in the midst of what has been a lackluster Major League Soccer campaign. Sanchez was a lively presence after missing the 1-1 draw against Club America of Mexico in Phoenix on Thursday because of visa issues. But in hot conditions before a sparse crowd, United created few chances, and saw Antonio Valencia limp off with an apparent calf injury less than 10 minutes in. Valencia, who was replaced by Matteo Darmian, was part of Jose Mourinho’s starting back four along with Luke Shaw, Eric Bailly and Chris Smalling. Bailly had a golden chance to score in the fifth minute but his header off a free kick from Sanchez rocketed off the cross bar. Minutes later Valencia departed, and Sanchez himself was lucky to escape injury when Florian Jungwirth stuck out an arm in a “clothesline” tackle of the Chilean — who went close with a free kick in the 30th minute. After a scoreless first half, the Earthquakes nearly opened the scoring when Vako beat keeper Lee Grant only for defender Timothy Fosu-Mensah — one of five second-half substitutions –to clear the danger. Nine minutes from time Grant’s superb diving save denied Tommy Thompson’s long-range effort. “This is one more training session. We are not a team. We’re a group of players from different teams,” said Mourinho, whose players are now looking toward three International Champions Cup friendly tournament matches against AC Milan, Liverpool and Real Madrid. “Some are first-team, some under-23s, some coming from loans and going on loan, some are younger, under-18s.